BT36: Women's Shirt - "Don't be a Hater" - B&T Industries, L.L.C. > Bitter & Twisted - Shirts & More - Official Manufacturer>BT36: Women's Shirt - "Don't be a Hater"
BT36: Women's Shirt - "Don't be a Hater"
PINK Gildan 100% cotton T-shirt with “B&T” circle logo on the front chest with “Bitter & Twisted” below. 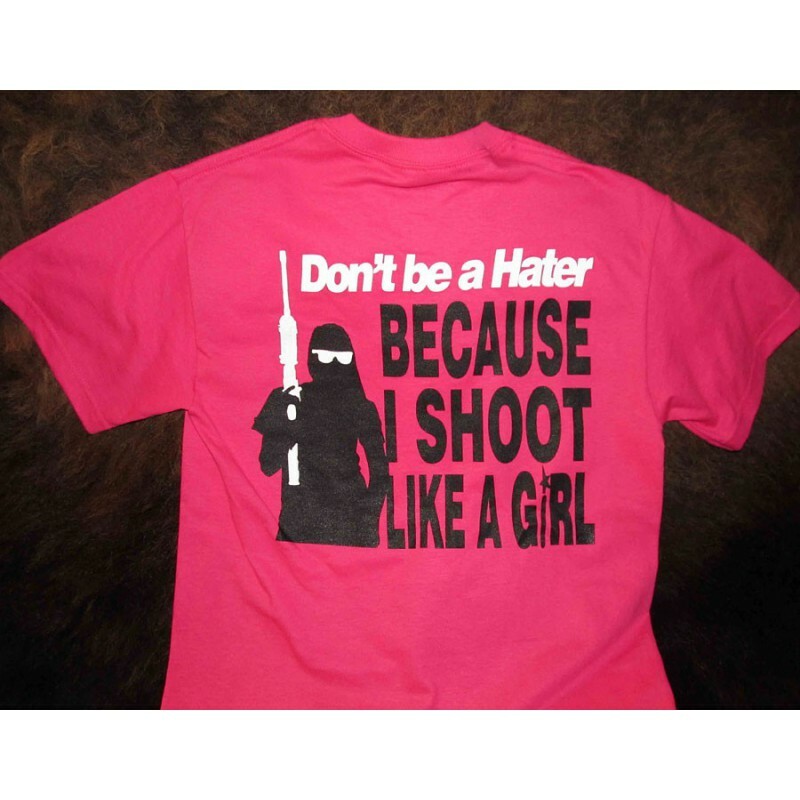 On the back is the image above showing a girl holding a AR15 with the following text; “Don’t be a hater” in white with “BECAUSE I SHOOT LIKE A GIRL” in black.